One short hiking trail starting at the crest road (altitude about 1,540 m) leads to the Roßfeld summit cross. 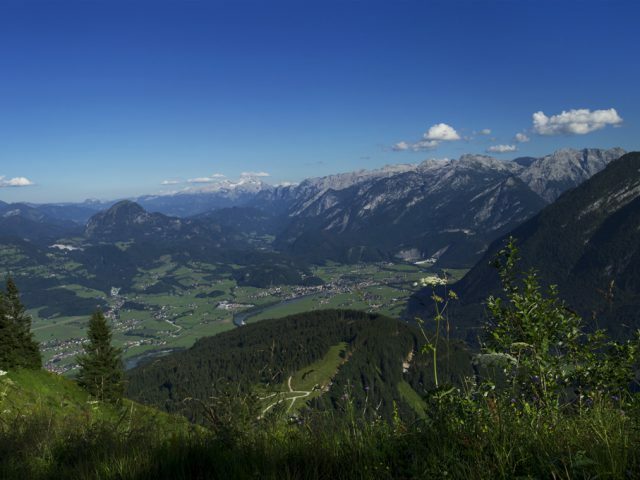 Enjoy the view from the summit on the Lattengebirge (Latten mountain range), the Untersberg, Rupertiwinkel (Ruperti Corner), Salzburg, the Salzach valley, the Dachstein and the Tennengebirge mountain ranges all the way to the Hoher Göll. 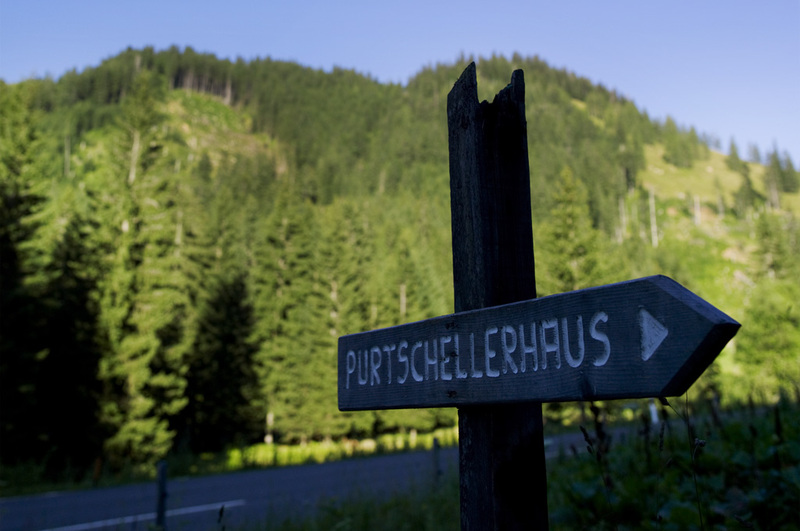 On goes the hiking trail toward the Hoher Göll, over the crest and back to the Roßfeldpanoramastrasse. 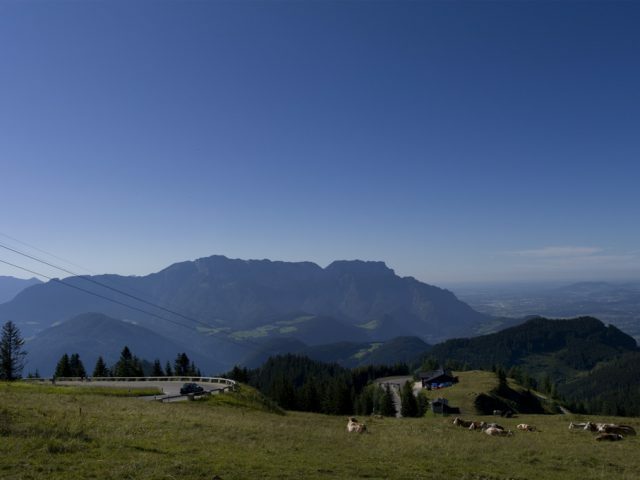 Walk along the Hahnenkamm (cockscomb) walkway to the next parking lot with a view on the town of Oberzalzberg. 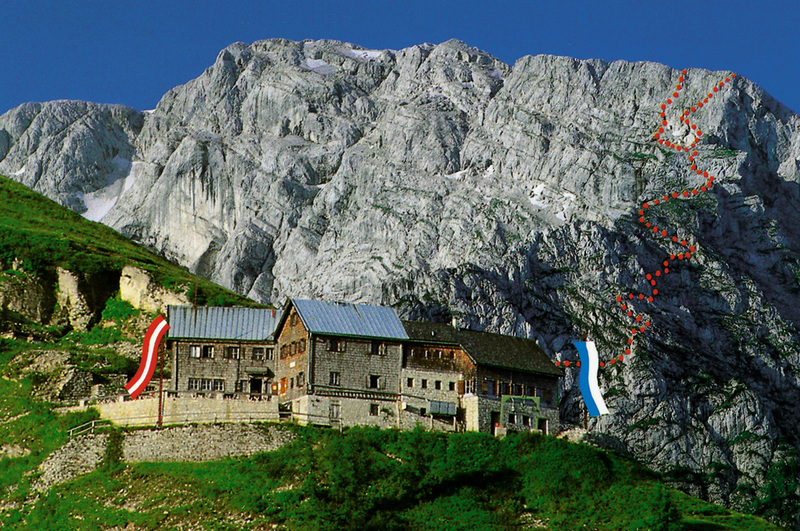 Once there, you can decide to take the trail up to the Ahornbüchsenkopf (1,604 m), or hike to the Ahornkaser tavern. 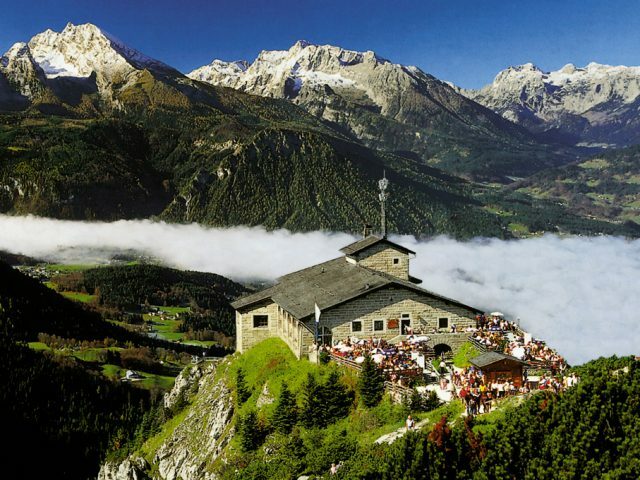 Two easy mountain hikes starting at the Roßfeldpanoramastraße bring you to the Purtscheller House at an altitude of 1,692 m. The house is a popular resting post for the somewhat more challenging mountain hike to the Hoher Göll (2,522 m). From the parking lot take a short walk to the livestock undercrossing. 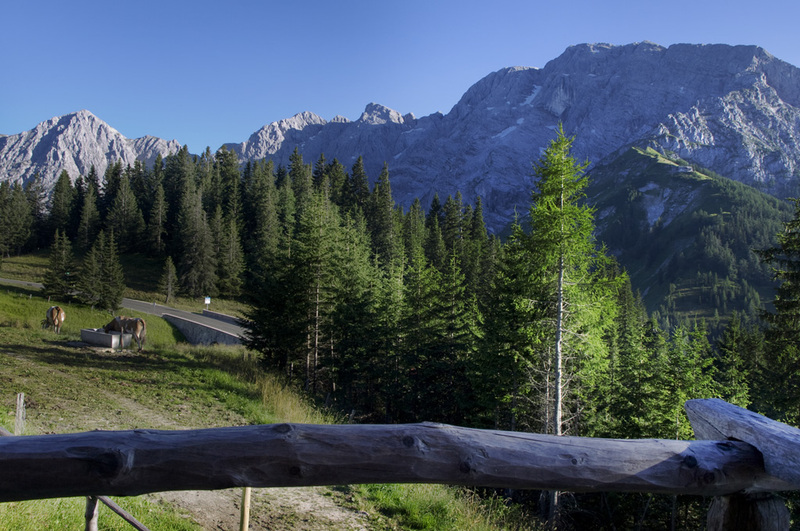 Look for the wide hiking trail going down to the Eckersattel pass. Turn right and take the (loamy) trail through the woods or turn left to walk the serpentine rock path. 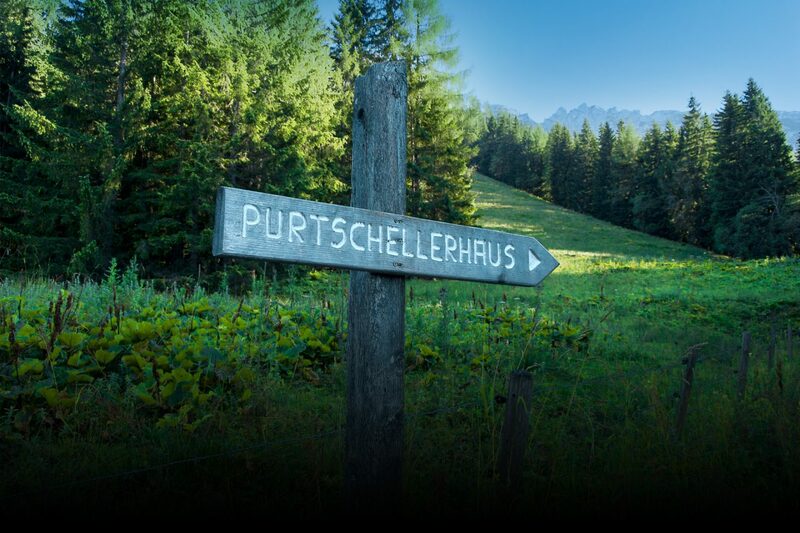 Both trails go to the Purtscheller House. The hike from the Roßfeldpanoramastraße takes about an hour and 15 minutes. 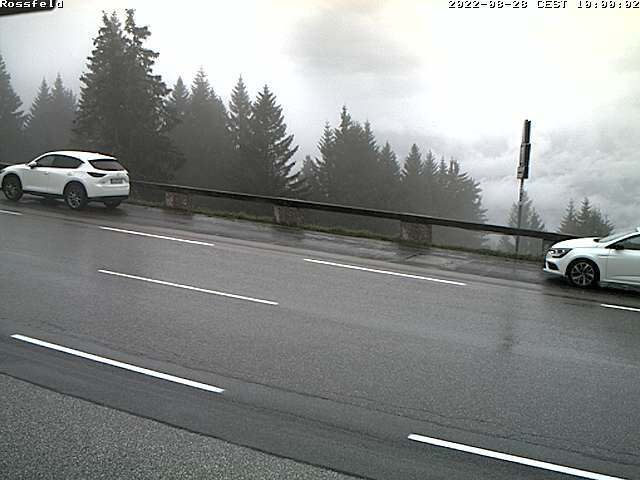 At the bus stop by the Roßfeldpanoramastraße next to the ‘Ofnerboden’ you see a steep travel way leading to the Eckersattel pass. The hike will take you about half an hour. Proceed from there as described for option 1. 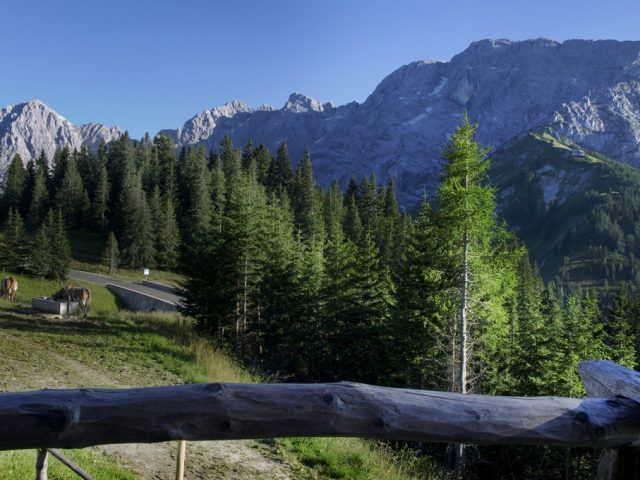 A well-kept secured trail starts from the south slip way to the Roßfeldpanoramastraße and leads up to the bus parking lot below the Eagle’s Nest (mountain stop of the Eagle’s Nest shuttle bus). Walking this trail takes about two hours. 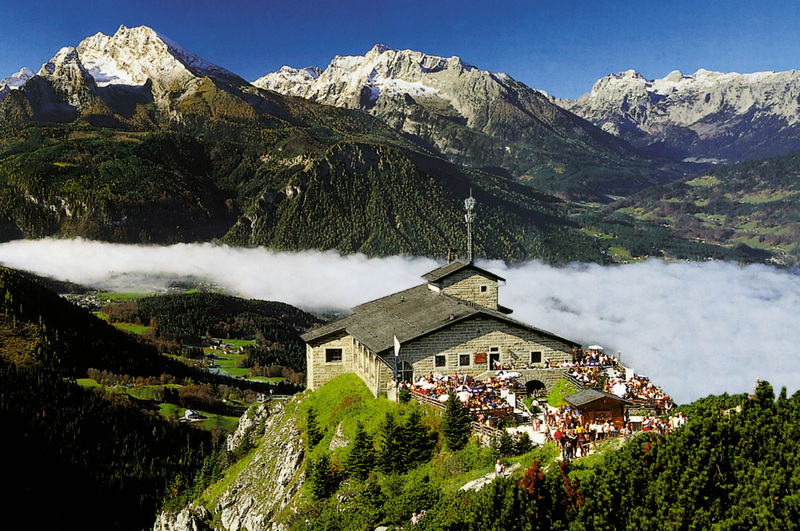 Once arrived at the Eagle’s Nest summit, take the elevator or walk into the belly of the Kehlstein mountain to the underground living quarters 124 metres underneath the summit. 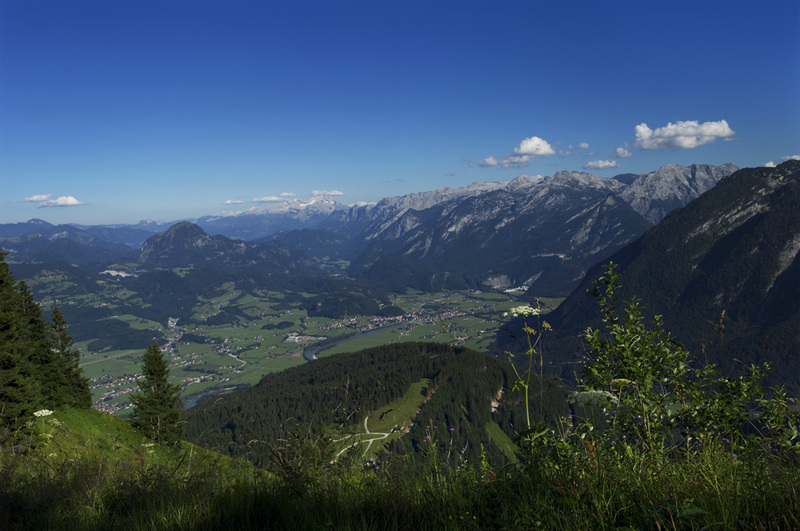 Retrace your steps on your return hike or take the shuttle bus to the town of Obersalzberg via the Kehlsteinstrasse, which is well worth seeing. A short easy hike will bring you back to the starting point of your hike. 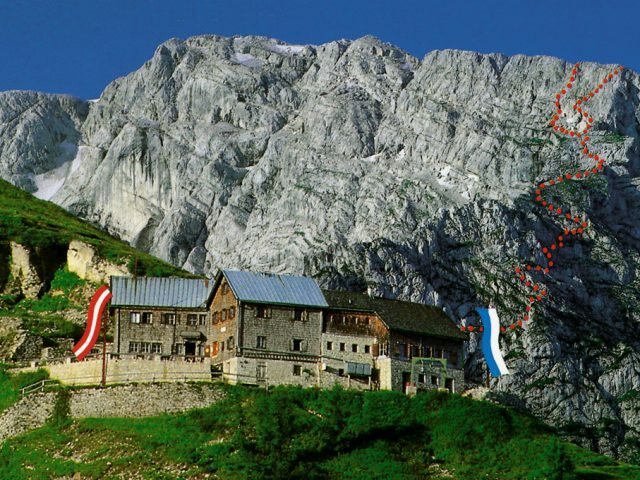 Use the instructions for the hikes to the Purtscheller House for the first leg of this hike to the Hoher Göll. 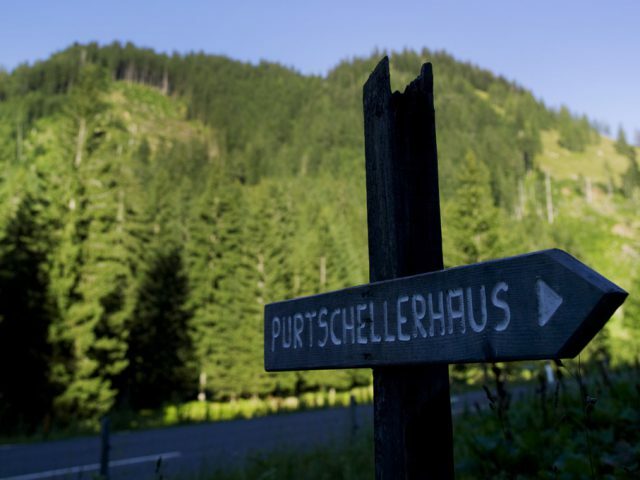 Starting at the Purtscheller House, walk the gentle down-slope for about 300 metres. From there a trench leads to a steep serpentine path to the ridge, which separates the Ofnerboden from the wild Freithof. The more demanding part of the trail starts after turning right ahead of the cross. Negotiate the climbing steps up the eastern wall to the Schuster (cobbler) route. The following Rauchfang (chimney) is a little easier to climb. A steep rubble field leads to the about 150 m long Kamin (chimney), which is completely secured with steel cables. Then proceed along the Göll guide rails at the edge of the ridge to the summit. 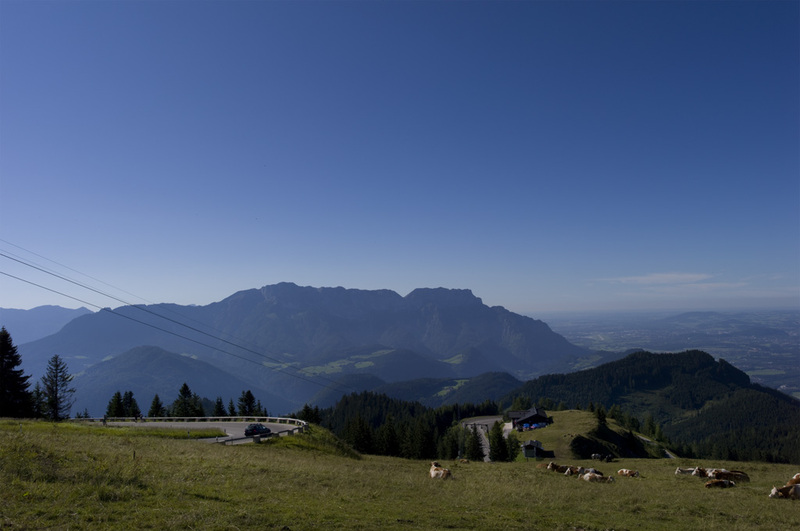 The hike to the summit of the Hoher Göll takes about six to seven hours.